Wilmington, DE | August 7, 2017 Three attorneys have joined Frank Noyes in Offit Kurman’s Wilmington, Delaware office, quadrupling the firm’s size in the area. The latest lawyers to affiliate their practices with Offit Kurman are Kevin Fasic, Katherine Randolph Witherspoon, and State Senator Anthony Delcollo (R-Marshallton). The trio, who previously worked at Cooch and Taylor, are now members of Offit Kurman’s Labor and Employment Practice group. Offit Kurman, a 140-plus-lawyer firm headquartered in Maryland, operates 11 office locations throughout the Mid-Atlantic region. Prior to the addition of Mr. Fasic, Ms. Witherspoon, and Mr. Delcollo, the firm had one attorney active in Wilmington: business litigator Frank Noyes, II. With the new attorneys’ experience and reputation in the community, Offit Kurman stands to become a prominent legal partner for organizations throughout Delaware. The move follows an expansion in the Philadelphia suburbs, where earlier this year Offit Kurman opened an office focused on real estate transactions. The firm has also recently grown its roster in Tysons Corner, Virginia. And Offit Kurman intends to continue growing, as it moves towards its leadership’s stated goal of 200 attorneys by the year 2020. In an article in Delaware Law Weekly, a publication of The Legal Intelligencer, firm chairman Ted Offit remarked that the Delaware group will augment the firm’s growth strategy and its stature among local, mid-sized businesses. He noted that a larger presence in one state feeds activity in neighboring areas. 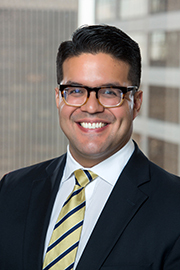 In fact, it was Joshua Quinter, a partner with Offit Kurman’s suburban Philadelphia office and Chair of the firm’s Construction Law Practice group, who introduced Mr. Fasic, Ms. Witherspoon, and Mr. Delcollo to Offit Kurman. "We've done what we can do in the confines of where we [were]," Mr. Fasic told Delaware Law Weekly. "Having more resources—more opportunities for collaboration with people who do what we do—I think that's an attractive thing for all of us, really.” He also commented on Offit Kurman’s pricing model, which he believes will make the regional group a “very competitive alternative” for clients who do not want to pay “$1,000 an hour." "I'm excited to tap the regional resources of the firm," added Ms. Witherspoon, “particularly the personnel. We want to be more influential. We want to get more clients." 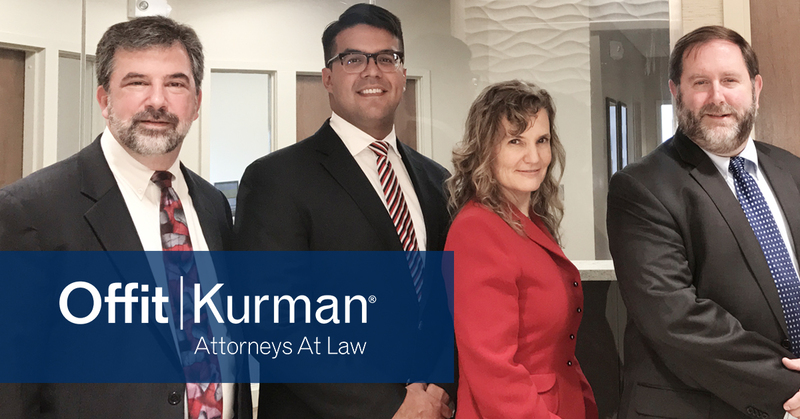 More information about each new attorney to affiliate their practices with Offit Kurman in Delaware can be found below. Kevin Fasic has practiced employment and construction law for over 20 years. His practice is primarily management-based, and includes discrimination claims, wage and hour issues, Davis Bacon/Prevailing Wage claims, employment agreements (including restrictive covenant issues and severance agreements), hiring and firing guidance, unemployment claims, and legislative affairs. He appears frequently before various administrative boards and agencies, as well as private dispute resolution forums. 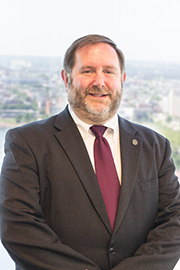 He has experience practicing before all of Delaware’s state and federal trial and appellate courts, along with experience with trial and appellate matters in the state and federal courts of New Jersey and Pennsylvania. In March 2007, Mr. Fasic received his certification as a mediator from the Delaware Superior Court, and now serves as mediator or arbitrator for matters related to labor and employment law, construction law, and mechanic’s liens. Mr. Fasic has been voted by his peers as a “Top Lawyer 2016” in the field of Construction Law and as a “Top Lawyer 2012” in the field of Labor Law (Delaware Today magazine). In 2014, he received the “Associate/Supplier Member of the Year” award from the Associated Builders and Contractors, Delaware Chapter. 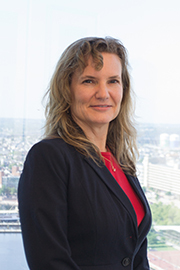 Katherine Randolph Witherspoon has 22 years of litigation experience in every Delaware court, the U.S. Court for the District of Delaware, the U.S. Court of Appeals for the Third Circuit, and the U.S. Supreme Court She has also represented clients in proceedings before the Delaware Department of Labor, the Equal Employment Opportunity Commission, the Merit Employee Relations Board, and the Delaware State Board of Education. Her employment practice focuses on discrimination; employment termination; unemployment compensation appeals; Fair Labor Standards Act issues; creation and review of employee handbooks and policies; severance agreements; and labor relations. Additionally, she practices education law, involving state and federal education laws and regulations, including special education, student discipline, the administration and operation of educational institutions (etc). Anthony Delcollo practices in the areas of employment law, commercial law, construction litigation, government regulations, and professional licensing; and provides clients advice regarding the right to keep and bear arms. He has represented clients before various administrative boards and Delaware courts. Although his practice focuses on courtroom litigation, Mr. Delcollo regularly consults with clients respecting construction contract formation, contract drafting, contractual interpretation, non-compete contracts, severance agreements, and employment contracts/executive compensation. State voters elected Mr. Delcollo to the Delaware Senate on November 8th, 2016. His legislative priorities include promoting job growth, advancing school performance, and making neighborhoods safer. For more information about Offit Kurman and our expansion plans, click here.